Stylish and uniquely designed bedding covers create a pleasing and wonderful environment in your home and offer final touch to your interior. If you want a medley of style and comfort in your room, then choose intricate designs and dashing colors of bed mattress covers, pillow covers, quilt covers, duvet covers and cushion covers. A large variety of good looking fabrics are available in the market and you can choose the best one according to your taste and requirements. Mattress covers gives you comfort and hold up your body while laying on bed. They offer softness to your back support. A lot of appealing colors and prints are available in the market and you can choose the best one according to your style. 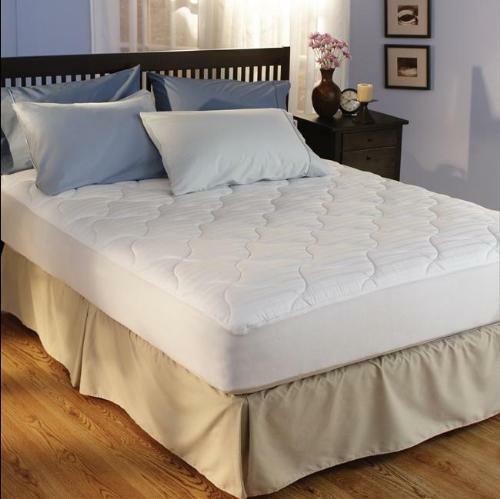 Use best quality mattress cover, otherwise, they may get peeled or discolored or hardened. You can protect your mattress from dust, dirt and stains. Covers almost fit over the mattress like a regular fitted sheet. Mattress cover size ranges from queen to double sizes. For a quick new style, you can change the pillow covers and make your room inviting and fresh. You can choose from a wide range of colorful pillows to produce a stunning effect in your room. When you are going to make pillow covers, then always keep certain factors in your mind that are color, texture, pattern and fabric used. Choose such pillow covers that will go match with the room theme and create interesting environment in the room. The popular fabrics for making pillow covers are cotton, polyester, chenille, polyester, acrylic wool etc. 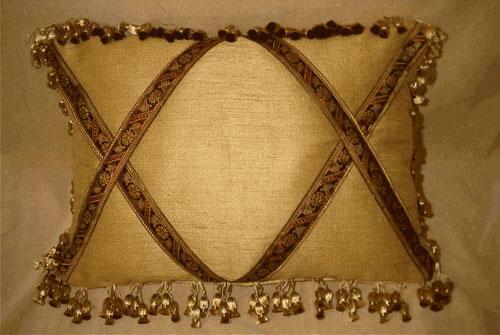 You can embellish the four corners of the pillow with decorative lace and stitching. 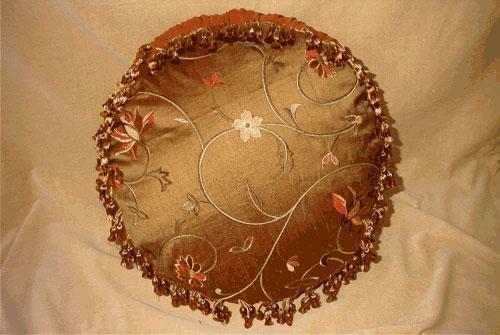 Cushion covers give elegance to any room whether it is drawing, living or dining. 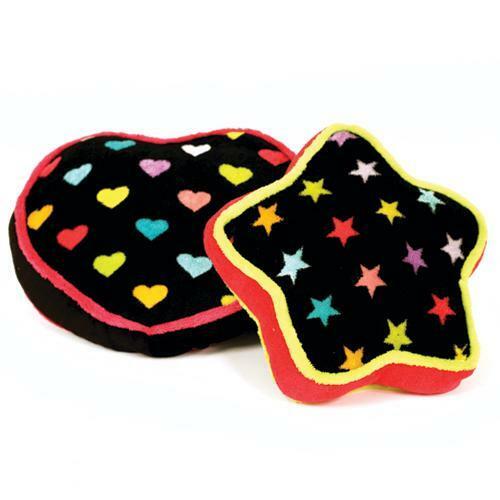 They protect your sofa or chairs and give you comfort while sitting. A wide spectrum of colorful cushion covers is available in the market and you can choose from them. Decorative mirrors, lively prints, sequin, exotic embroidery and patch work give a new ornamental look to your simple cushion covers. You can match the color of cushion covers with the interior furnishings. 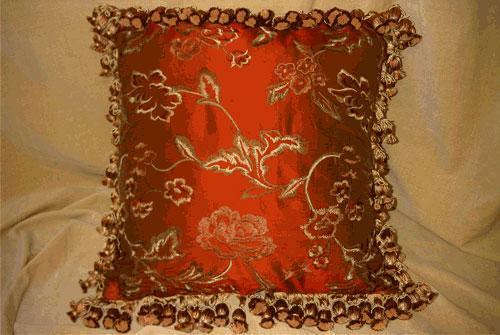 The popular fabrics for cushion covers are cotton, linen, satin, velvet etc. 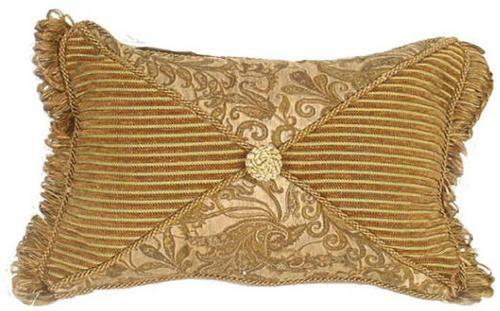 Enthralling and superb cushion covers offer a touching look to your complete interior. You can make your interior décor elegant and sophisticated with stylish quilt covers. Gorgeous patterns and designs of quilt covers look simply amazing in your room. The fabrics used for making quilt covers are cotton, linen, silk, etc. Intricate and alluring designs of quilt covers enhance the beauty of the complete bedding. Choose finest quality quilt covers that protect your quilt and offer freshness to your bedroom. For a classy and royal look, you can choose silk quilt covers. You can also use a medley of cotton and other fabrics for day-to-day usage. For a different experience, you can also use your old zari border sarees for making embroidered quilt covers. These special quilt covers create a bright and majestic look to the overall décor. Duvet is a type of quilt and can be used as a bedspread and top sheet. It generally comes with a washable cover. Striking duvet covers quickly change the look of your bedroom. Always choose top quality duvet covers so that you will feel warmth. Lighter fabrics are used to make duvet covers, therefore it is easy to wash them frequently. Get the best designs and patterns for the duvet covers so that they really makeover the beauty of your home. It is better to use your old sarees to make duvet covers of your own choice and enhance the look of your home furnishings. Bed sheets are the quickest way to refresh tired furnishing of your bedroom. Comfortable and shining bed sheets with mattress and comfortable pillows transform your bedroom into a fantastic place. Countless designs of bed sheets give you options to select favorite ones. The subject of selecting, decorating and furnishing a home is to express some definite idea or theme in it. Bricks provides several choices for quality. Select a type according to your need.